TMDHosting was founded in 2007, they have grown quickly since and still attracting customers every day. They love open source, so you have a lot of features and apps to choose from. They have more plans for each type of hosting they are offering, like shared hosting, cloud hosting, VPS and dedicated servers. You can also choose options if you are a reseller and want to host using their services. TMDHosting have data centers all around the globe, so you can host your website with as minimum delay as possible. TMDHosting’s shared hosting plans start from as cheap as $2,85/month and tops at the professional plan for $12,85/month. The professional plan includes unlimited bandwidth, SSD storage and websites hosted. It comes with free domain, premium support, cPanel access, Wildcard SSL and 256 MB of Memcache. You can also enjoy encryption and backups, with 60 days of money back guarantee. Their cloud hosting is running on Intel’s latest generation of Xeon processors and backed up with SSD storage to provide you with the best performance. Although cloud sometimes scare the users because the security and reliability, TMDHosting’s cloud is running in a private network. They are protecting it by hardware and software applications, and monitor it 24/7/365 by their cloud certified engineers. Their cloud hosting plans start form $5,85/month with 2 cores, 2 GB of RAM and goes up to 6 cores with 6 GB RAM for $10,85/month. TMDHosting’s top cloud hosting plan features unlimited bandwidth, SSD storage and websites hosted. You also get a free domain, their premium support and cPanel access. You also enjoy Wildcard SSL, 128 MB Memcache, JetBackup, SpamExperts with their top plan. All of the cloud hosting solutions contains a 60 days money back guarantee. In their VPS plans, they offer from 2 cores with 2 GB RAM for $35,95/month up to 8 cores with 6 GB RAM for $116,95/month. 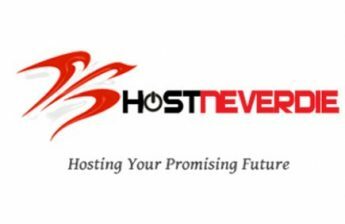 You can find five plans for VPS hosting, so you can choose the one best suited for your needs. All of their VPS plans come with great features like SSD storage, military grade security at their data centers, free transfer if needed and much more. With the VPS plans you also get DDR4 RAM, full management, premium support and cPanel/WHM. They feature CentOS for the operating system of the Virtual Private Servers, but you can choose Windows also. The windows plans start from $80/month and goes up to $420/month. Each component of their VPS is redundant in order to have high availability and they promise 99.999% uptime. For new VPS users they offer an immediate activation, free installation, free domain registration, step-by-step tutorials and their premium support. The existing VPS users can benefit from free website files transfer, zero downtime, free database transfer, free domain transfer and their premium support. There are five options if you want to rent a dedicated server for your needs at TMDHosting. You can start with an Intel i5-760 with 16GB RAM, 10TB bandwidth and CentOS for $199/month and can go up to a double e5-2620 V2 with 24 GB RAM and 2×1 TB storage. All of their dedicated server plans comes with CentOS, premium support, cPanel/WHM access and are fully managed. TMDHosting advertises unmatched expertise on their server management team, so you don’t have to worry about the hardware or the running of the software. After purchasing you can choose from one of the preinstalled images that suits your needs the best and install it on your server, so you can have it up and running under a couple of hours. You can also get seamless upgrades with their downtime-free hardware upgrades. TMDHosting has data centers in Phoenix, Chicago, London, Amsterdam, Singapore, Tokyo and Sydney. They take security and availability very seriously. All of their datacenters are certified under the SSAE-16 standard to provide you the best service. They utilize each and every possible best practice around, by featuring facilities with numerous industry-standard amenities – raised floors, climate control, 24/7 biometric security, fire suppression systems, water detection systems, UPS & generators. Their support is accessible through emails, phone, ticket system and live chat, and you can also find a knowledge base and tutorials on their website. They have great presence regarding users’ feedback, which means a few complaints and a lot of great reviews. In this TMDHosting review we found that pricing is fair considered all the features you get. They are a good overall choice with all of their data centers available, with great hardware and security options, their great features that comes with their plans and for the huge support for open source. We are participating in TMDHosting’s affiliate program, but that does not affect any ranking or facts. We always give our own, honest opinion in our TMDHosting review.